I have been training martial arts for 44 years at this point with the focus being on Chinese internal martial arts of Yang style Tai Chi Chuan,Jian, Dao, Gun, Qiang , Hsing I Chuan, I Chuan , Pakua Chang , Tai Chi Ruler , Tung Style Fast Tai Chi Chuan, and various Taoist Internal training methods , and Chi Kung , Nei Kung , Breathing methods , An Mo self massage etc. I have successfully helped people with very serious diseases from cancer to osteonecrosis over the last 14 years. My focus initially was on the martial art aspects and, as I began to see the pedigree of the arts I was learning, I started to work very hard at obtaining them. I am a follower of the duality of these arts which brought me into the healing aspect of these arts which has been a great part of my focus over the years . I don’t believe one part is more important than the other; they are two parts of the same coin. 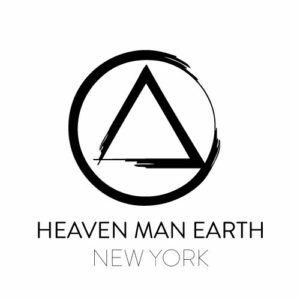 I have become an Affiliate Instructor for Heaven Man Earth Internal Arts – New York . I am devoting my training time to this system and I am thrilled with the results. Sifu Adam Mizner’s skill and open hearted sharing of that skill have already changed my skill and my life .